Komisjonide aastatetaguste istungite salvestised on praegu hoiul riigikogu kantseleis. 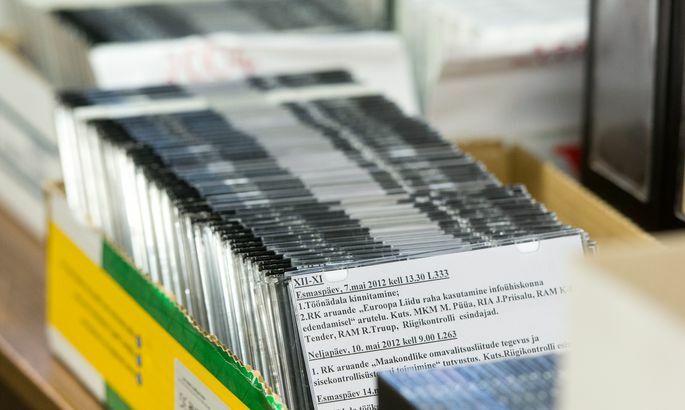 Riigikogu Constitutional Committee has made a U-turn regarding preservation of recordings of parliamentary committee sessions, concluding that the recordings are but support material to be destroyed as soon as minutes have been made. Parlamendikomisjonide aastatetaguste istungite salvestised on praegu hoiul riigikogu kantseleis. While but a year ago a plan was hatched at Riigikogu to make audio recording of sessions mandatory and to have the recordings preserved at least till the end of the four year term, then in a bill brought before the parliament this week both – the requirement to record, and the mandatory preservation – have been binned. Furthermore, the bill and its letter of explanation avoid use of the word «recording» altogether, opting instead to talk about support material for compiling documents, the preservation of which and the related waste of resources are not deemed to be expedient by constitutional committee. According to Mr Laanet, the sole aim of the recordings is to compile much more thorough minutes than before which would present both the way the meeting went, the way its decisions and stands were formulated, and the standpoints of those who took the floor. Even results of votes must in the future be entered into the minutes by names. Member of the committee Andres Anvelt )Soc Dems) would also underline that what is most important is detailed minutes and how these are arrived at – whether committee members take shorthand notes of all that is talked about or listen to the recording afterwards –, is a matter of organisation of work. «In this case, we at the constitutional committee have arrived at the view that what is important is standardization, that all committees take minutes in a detailed manner, that all views have been brought out, and the votes are names based,» he said. Also, Mr Anvelt pointed to interest towards earlier recording of committees has been almost nonexistent. «What is important for future generations when it comes to the will of the legislator, is the process of solution: that it be recorded how the decision was arrived at,» he said. According to the oppositional Free chairman Andres Herkel, things got out of hand over ten years ago when making of proper and informative minutes of committee sessions was discarded. «They begun to take minutes only of the decisions, not of the process of the deliberations, thereby leafing the public in the dark. Before that, there was no problem of recordings as such, recording indeed was support material for taking minutes,» he said and underlined that if the bill to be proceeded restores informative minutes of sessions, that’s what matters most. As noted by Mr Herkel, he does understand the public interest towards the destiny of the recordings. «There are certain controversies, but I believe that during the proceeding we will have time yet to debate these,» he added. Recordings were also treated as support material for taking minutes also by the controversial bill presented a year ago which was pulled back in run up to general elections citing lack of political unity. Curiously, it was actually milder than the present proposal. Firstly, the committees ought to have recorded their session as a general rule – with the sole exceptions of trips and sessions about confidential issues –, the recordings ought to have been preserved till the end of the membership of Riigikogu, and in case of justified interest they would have been available to be heard with permission by chairman of the committee. «It was also discussed at the committee to preserve the audio recording till the minutes were taken, but as there have been the instances where the minutes have been contested and it has proven necessary to check the minutes, it was therefore found that audio recording (in case the session was audio-recorded) could be available at least till the end of the same membership,» the constitutional committee substantiated in letter of explanation to the second reading of the bill. In the letter of explanation compiled for the third reading before the bill was withdrawn, then chairman of the committee Rait Maruste (Reform) said the preservation of recordings till the end of the term would have meant that the support materials would have been preserved at Riigikogu for the purposes of parliamentary work. At the expiry of the mandate, National Archives would have had to assess the information and should the information have been declared a record, the plan was to have it handed over to the National Archive. «If, however, the archive does not assess a document or material as worthy of being archived, there will be no obligation to preserve them, which will not mean there would arise the obligation to destroy them,» Mr Maruste wrote at end of last January. At the beginning of last year, the Riigikogu speaker Eiki Nestor (Soc Dems) also found that as many observers were unsure how detailed the minutes would be pursuant to the new requirements, the mandatory recordings made pursuant to the new law could be handed over to National Archives for preservation. 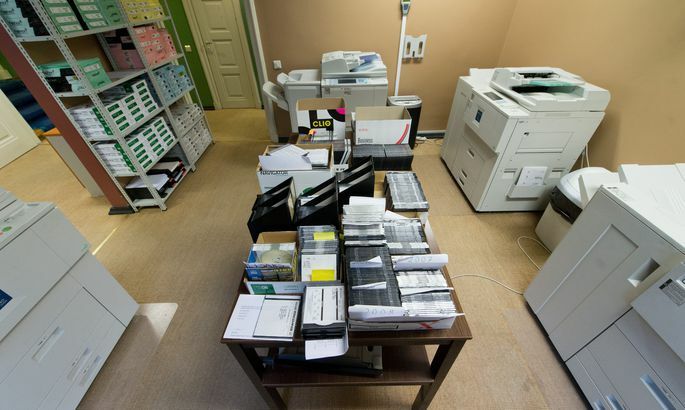 Back then, there were also others who thought is necessary to preserve the recordings and underlined that the Riigikogu was not a box of secrets. Even so, citing the nearing elections and lack of consensus, decision was pushed forward for the next membership. 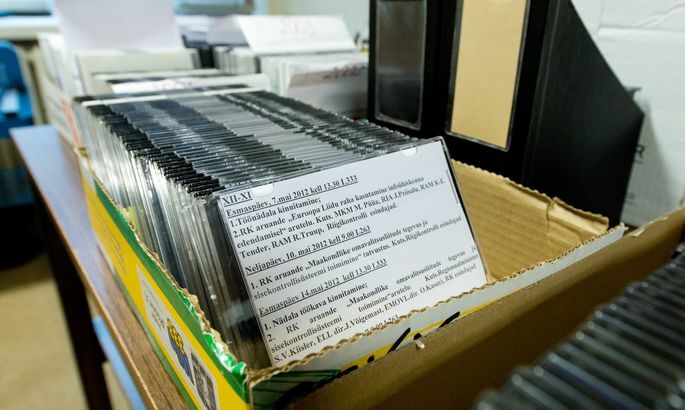 Meanwhile, Board of the Riigikogu decided that all existing recording would be handed to national Archive where they would be available for listening with permission by President of the Riigikogu. 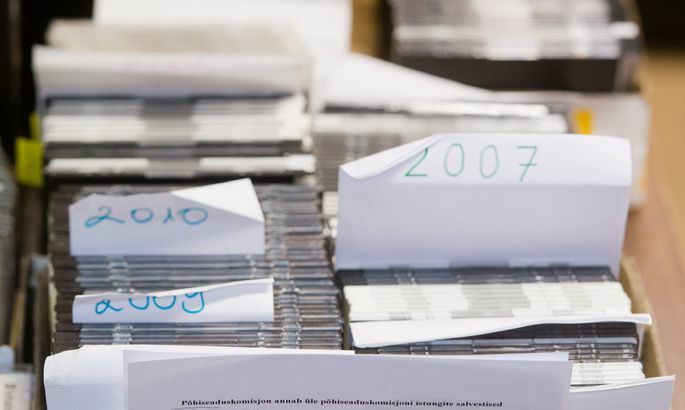 From the committees, Chancellery of the Riigikogu has collected 722 CDs full of audio recordings containing sessions from 2002–2012. 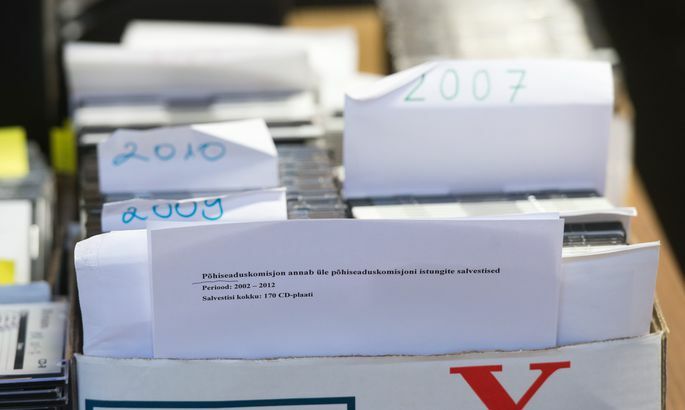 The chancellery communication head Urmas Seaver said it is planned to hand these to National Archive before the summer holidays. 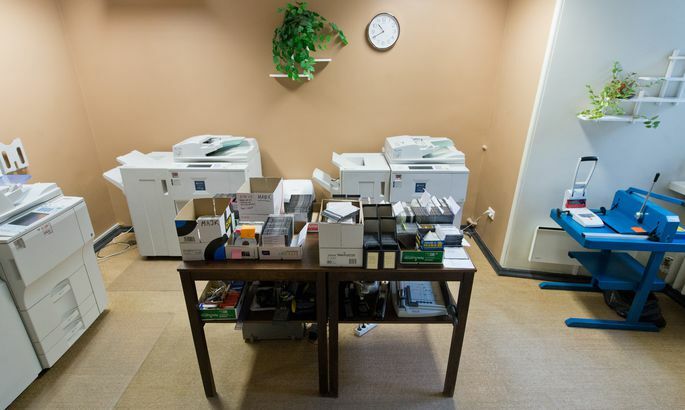 «With the CDs, the chancellery will provide the information regarding consents and the times. As at today, we have got the information for over a half of the CDs, with the rest the work is underway,» said Mr Seaver. On top of that, Mr Seaver said the chancellery will afterwards be dealing with committee session recording on their network disk to also end up at the archives. On the in the archive, the recordings will not automatically become open for public, as sessions aren’t open either. The view that content of closed sessions must not be published pursuant to general procedure was confirmed last May by Supreme Court. According to Mr Seaver, this means that should someone have recourse to the archive asking to listen to a recording of some closed session, permission by President of the Riigikogu must be secured first. «While pondering the permit, it must necessarily be considered whether the recording contains information declared as of restricted access pursuant to law,» he said.